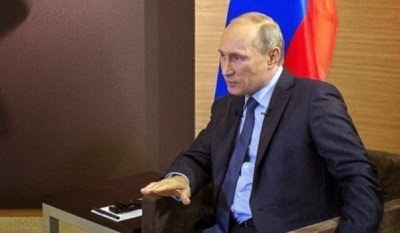 On July 1st, during a meeting with all Russian ambassadors and permanent representatives, President Vladimir Putin revealed the details of a blatant blackmail against France. The US Administration used its unilateral (and de facto illegal) sanctions against Cuba, Iran and Sudan to punish France and in particular the Banque Nationale de Paris – Paribas. The Bank was blackmailed in to paying $8.97 billion for not submitting to the malicious diktat of the power-drunk but weakening hegemon, even though the sanctions are not a decision agreed to by France. - Read more.